Collecting Asylum: MCM Scotland Comic Con! On Sunday, MCM Scotland Comic Con had it's final date for 2015. Sadly, we weren't able to attend, but one of Allan's younger brothers did, and he brought back a couple of goodies for us! So thanks so much, you two! Desperately need to get them displayed somewhere ASAP. 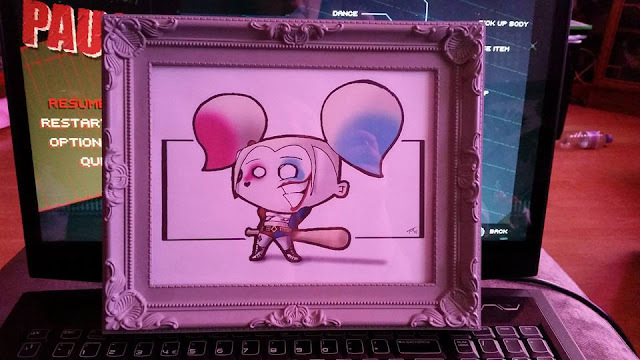 The framed Harley, I'm not sure who the artist is, so if anyone knows, please let me know so I can give them their credit! 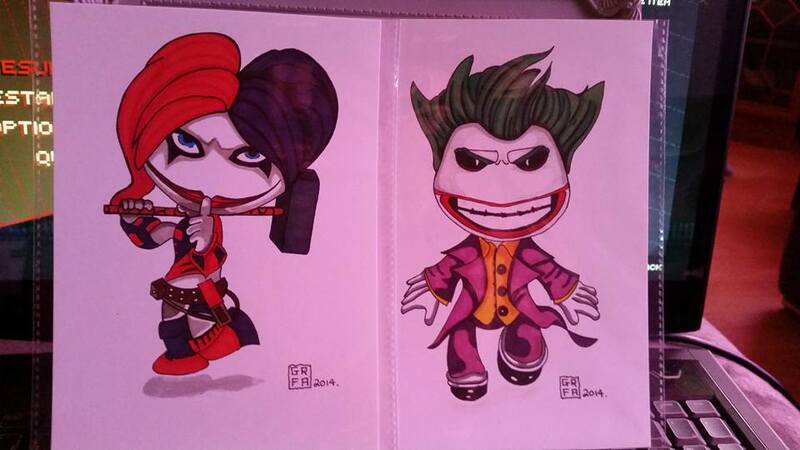 And the bottom two are done by Garry Robertson - Fan Artwork - you can find his page here. Did you attend any conventions this year? And if so, what cool items did you pick up?